I selected the color scheme for Kyle and Landon's attire. I want Landon's tie to match the color of his Kyle's shirt. 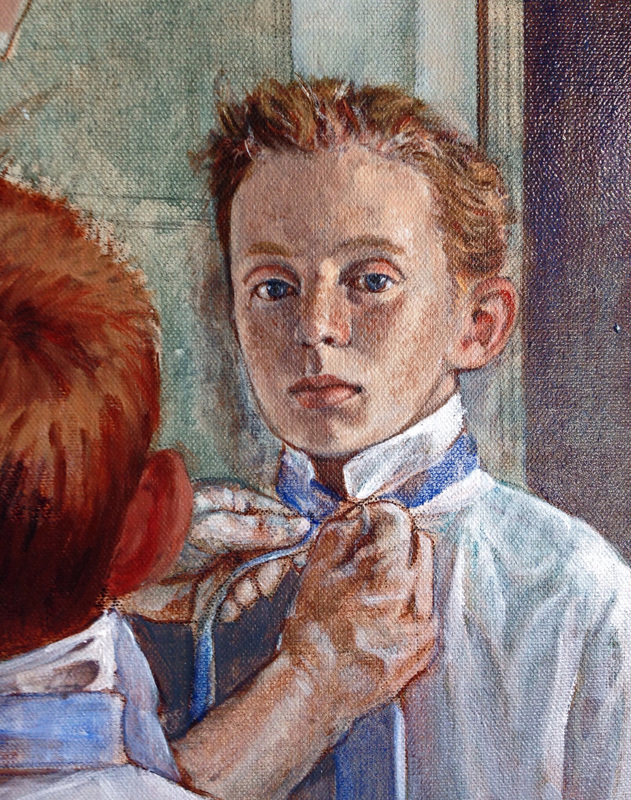 The use of color is used to establish the link between father and son. Landon's accurate skin and eye coloring and freckles were added today.